Whilst law makers were (and indeed still are) debating Brexit we wanted to demonstrate that there are still other battles to be fought and won. We were joined by almost 200 people from our community including those directly affected, carers, parents, activists, clinicians and researchers. All were united in their absolute commitment to find a cure and to accept that the pace of change must change to ensure that more people do not suffer unnecessarily. Lord Andrew Adonis opened the proceedings, having generously sponsored the event, speaking passionately about his friend Tessa Jowell and how he still cannot quite believe that she is no longer here. Setting the tone for a series of stark reminders of the devastating loss that disease can cause. We heard fantastic speeches including one from our Chair of Trustees, Jack Morris (pictured), who shared the story of his daughter's journey and how he came to be a such a big part of this organisation. He also spoke with passion about the work The Charity does and how proud he was to be associated with it. We also heard from Colin Watts, Professor of Neurosurgery, Chair Birmingham Brain Cancer Program, University of Birmingham, on the new Tessa Jowell BRAIN MATRIX and the opportunity that has to change the brain cancer landscape. We are investing £2.8m into the Tessa Jowell BRAIN-MATRIX, a trial aimed at radically increasing opportunities for brain tumour patients to try non-standard treatments. The Tessa Jowell BRAIN-MATRIX will involve ten of the UK's major brain tumour referral centres, which between them treat a total of around 1,500 glioma patients every year. Jess Mills paid an emotional tribute to her mum, Baroness Tessa Jowell, who sadly died six months ago. Jess personifies the drive and ambition of her mum and she shared just how proud she was to be helping drive her legacy forward. She ended with the powerful words "we will continue with fire in our hearts" until we find a cure for this. Sarah Jones MP also spoke about the Tessa Jowell Brain Cancer Mission and paid tribute to her friend, who she said would have loved to have been in Parliament helping to resolve the current constitutional crisis. 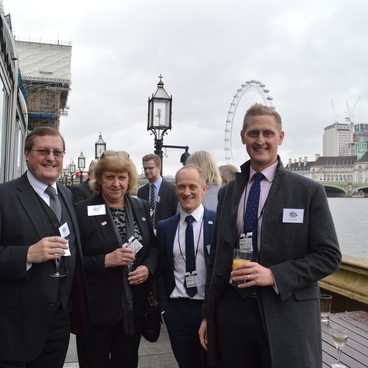 We also heard from our corporate partner BECG who had kindly supported the event, they too have a personal connection to the cause, with some members of staff having been involved in the charity for nearly decade and some having thrown themselves out of a plane to raise £7,000 earlier this year. 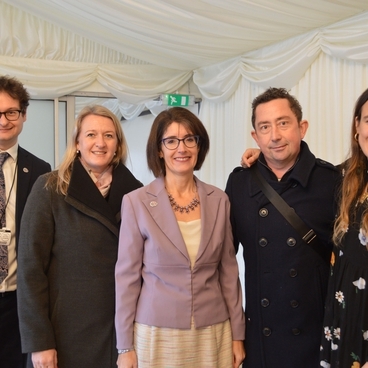 BECG Chief Executive Stephen Pomeroy said: “The work they undertake is invaluable to people affected by brain tumours and we are very proud to be working with them as a charity partner and joining them for this Parliamentary event. “The charity is at the forefront of the fight to defeat brain tumours, funding pioneering research to increase survival rates, raise awareness of the symptoms and effects of brain tumours and provide assistance for those affected." The speakers personified the community in many ways, and only through this diverse range of stakeholders cooperating will be able to achieve our ambitious goals. It was also a time of reflection as everyone took time to think of those things yet to be accomplished and the amount of work left to do. There was no question more must be done, and we are leading that fight to make sure that we find that cure as quickly as possible.